Two hundred years ago, in 1796, Tanya was published for the first time-and its 3000 editions since have repeatedly invigorated the Jewish world with a message of informed inspiration. 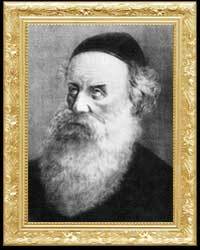 In this brief classic, Rabbi Schneur Zalman of Liadi, (1745-1812) articulated the Chabad-Lubavitch school of chassidic thought, filtering the mystical teachings of the Baal Shem Tov through the intellectual framework of traditional Jewish scholarship. Tanya is actually the author's record of 20 years of counselling. Thus, a problem addressed in Tanya is really the anguished cry of a chassid struggling to bridge the gulf between material and spiritual, between man and his G-d.